Past policies, beyond bickering and right at the doorstep of our inner child, this is The Progressive’s Weekend! Who would’ve thought that our Commander-in-Chief would succumb to post-midterm election depression and anger-related Seasonal Affective Disorder? I mean, he seems ever so composed and level-headed normally. Reports of him lashing out in the White House abound, with worrying gossip spreading most furiously. Perhaps this “blue wave” should be worrisome for him. Perhaps his emotions are understandable. I’d be upset about losing too. I’d be upset about friends and family being indicted too. 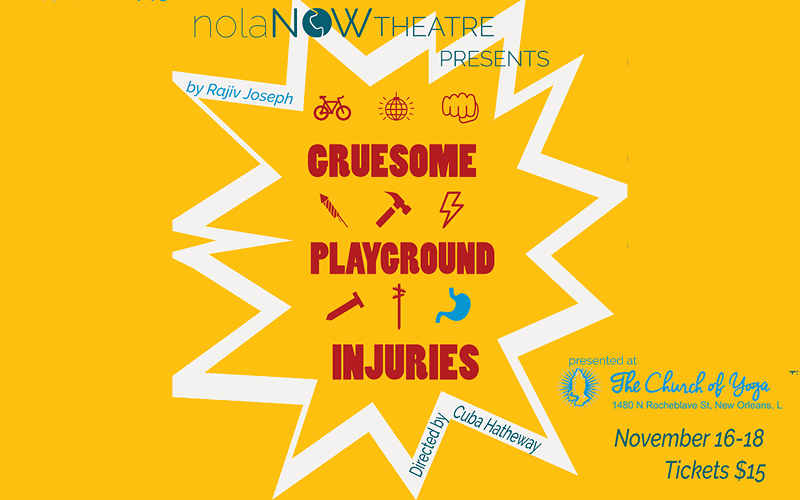 nolaNOW Theater will present its premiere production, Gruesome Playground Injuries this weekend. Show times are Friday, November 16th at 7:30 p.m., Saturday, November 17th at 7:30 p.m., and Sunday, November 18th at 2:00 p.m. This growing, independent theatre company aims to highlight the highs and lows of life in today’s world through thoughtful, contemporary storytelling focused on the values of intimacy, mindfulness, and empathy. 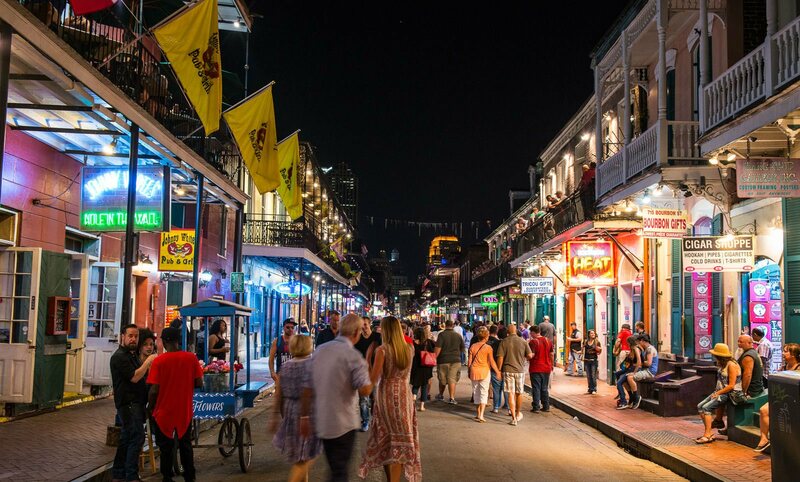 Hosted by the Louisiana Hospitality Foundation, this new event and festival, by name alone, makes my stomach scream in wanting. 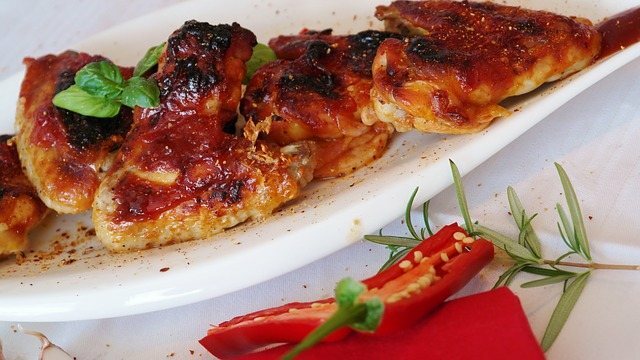 Featuring music from bands like Marc Stone, Sexual Thunder!, Big Sam’s Funky Nation, and Water Seed, this kickin’ all afternoon party about chicken – with food provided by competing joints like Cafe Reconcile, Ling’s Wings, Mapho, and WOW Cafe – is sure to make one run for the acid reflux chewables. In a good way, of course. 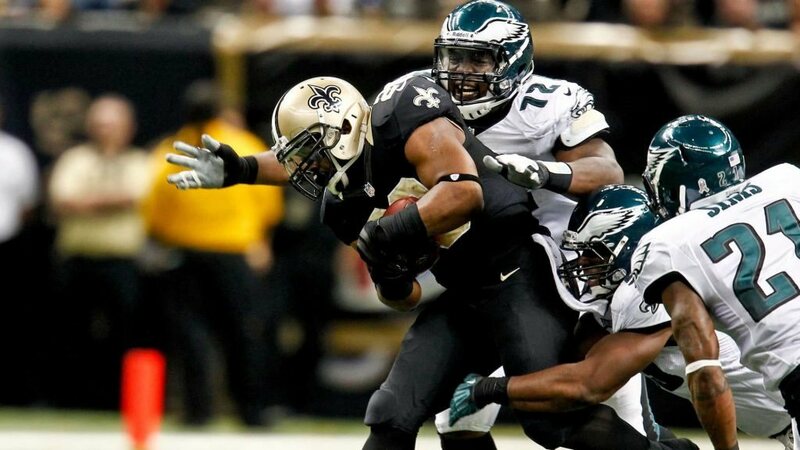 Following up on their superior victory last Sunday, our Saints look for a repeat win, as do we. This home game will be fire. Pure fire! You can take a look into the future and see our predictions for this match-up here. You can catch the game nationwide on FOX Sports. 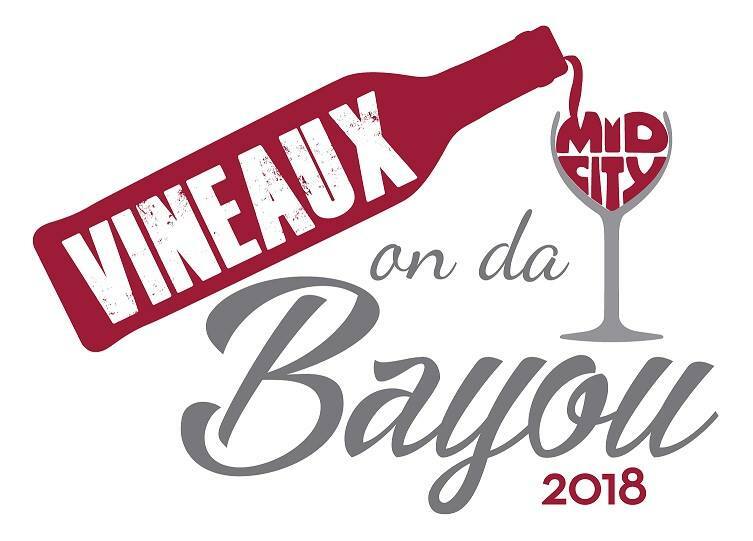 Hosted by Mid-City Biz, Vineaux will have a collection from small production refineries for tasting and for sale, in a most comfortable and calming atmosphere. 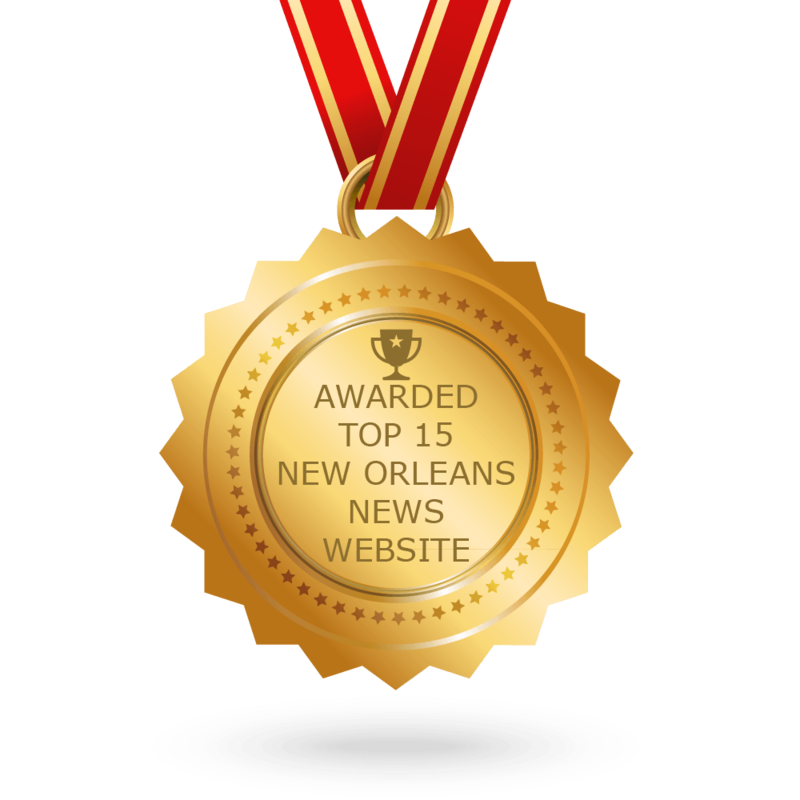 Live music accompaniment throughout, event proceeds will go to the Greater Mid-City Business Association. Burlesque and performance art merge to make fun and light of pop culture and everything/anything identified as nerdy. Workshops will be offered, as will performances with plays on Bill Nye, video games and more. And be sure to check out our previews of Fete Des Fromages and Water Fall Fest, both happening this weekend too! Every weekend is a progressive weekend. Every day is full of moments that allow us to move forward and grow. 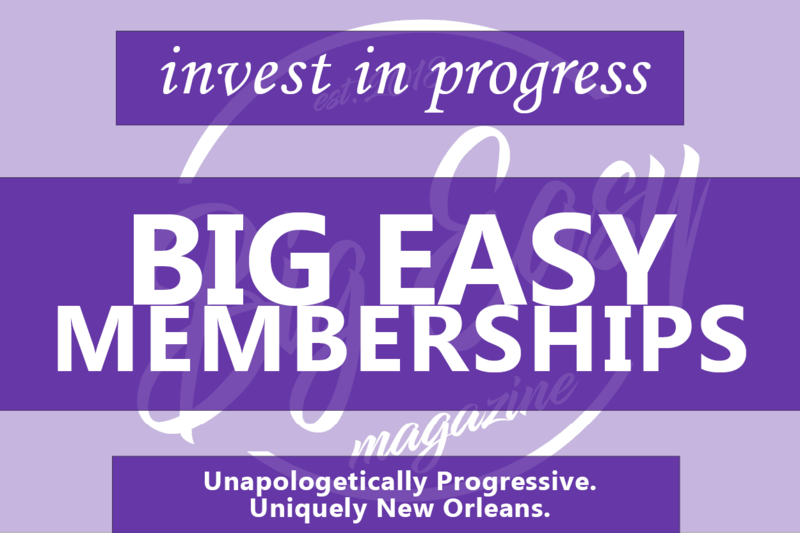 And, as we say here at Big Easy Magazine, values are not meant to simply be spoken about but lived out.